This is part of MathType's “Math” style. To un-italicize your text, select the text you want to un-italicize and go to “Style” → “Text” (you can also use the keyboard shortcut Ctrl+Shift+E). 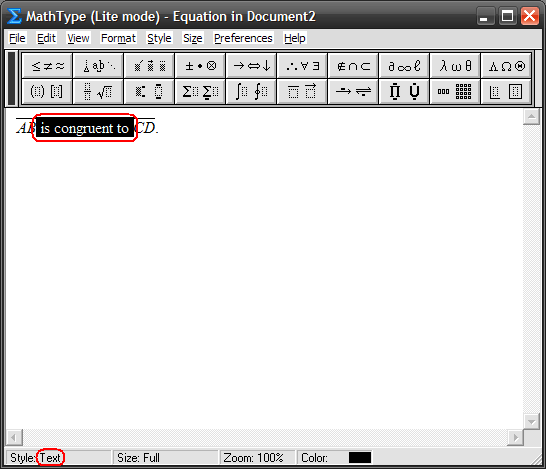 The style will now be set to “Text” and the selected text will no longer be in italics. 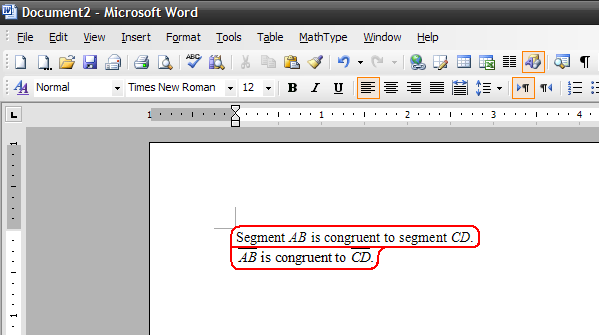 It will also match your other text and you can put segment, ray, line, and arc names in the middle of normal-looking sentances with proper “hats”. **Remember that only a few non-keyboard symbols (i.e. 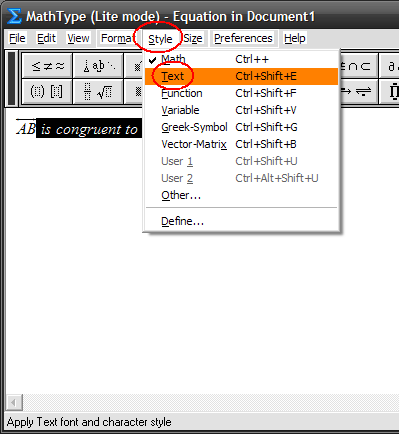 symbols you cannot just type on your keyboard) will exist in the text style.